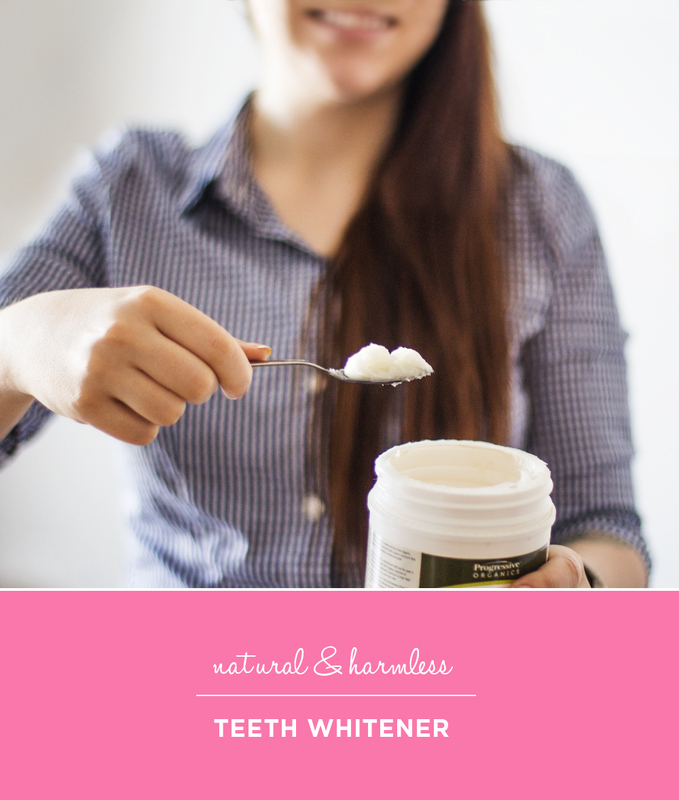 If you haven’t heard about oil pulling by now, you probably don’t dig through the Internet looking for beauty tips like I do! Luckily for me, I can convince you to try this weird dental hygiene trick. I first heard about it through The Beauty Department, and my curiosity led me to search the whole web for reviews on that amazingly-rated teeth whitening technique. By the end of the day, I had bought a jar of cold-pressed coconut oil from the nearest natural product store (according to many reviews this oil is definitely the best, but you could also use sunflower or sesame oil). Simply put a spoonful of coconut oil in your mouth and swish it around for 20 minutes. WHAAAT? 20 MINUTES!! Yes. I know this may sound eternal, and it will feel like it at first, but you soon get used to it. Somehow, I even ended up enjoying this time, because it gives me 20 minutes of my day to spend all for myself. I often do it in the shower, so I don’t even think about it much and by the time I’m out, the time is almost up! Checking my mail or playing a game on my cellphone are other alternatives that work for me. If you have never used coconut oil before, you might be surprise that it doesn’t look like any other liquid oil. In fact, it looks a lot more like margarine, but it will melt in your mouth in a minute or so. If you can’t handle the weird feeling, you can let it melt in the spoon a minute before putting it in your mouth. Don’t worry, coconut oil doesn’t have a strong taste, so you won’t be disgusted by it! Once the time is up, you have to spit it out. Make sure you don’t swallow any. The important thing to remember here is that you can’t spit it in your sink, for it will clog the sink as coconut oil hardens when it cools down. Personally, I spit it in a small plastic bag that I throw in the garbage. No mess! Once you have spat the oil out, simply brush your teeth and repeat the process daily. According to reviews, there are many benefits to oil pulling done on a daily basis, although none of if has been medically proven. Among them, natural teeth whitening, oral health improvement, better breath, headache relief, hormone imbalances correction, eczema reduction, sinus congestion reduction, hangover relief, and whatnots. I’m not saying I believe all of these, but I’m convinced it’s worth the try! As for myself, I decided to try it for several reasons. I wanted a whiter smile (who doesn’t? ), a better oral health (my gums tend to bleed when I brush my teeth) and I’ve been desperately looking for a cure for my acne and headaches. After the first time, I immediately enjoyed how my mouth felt amazingly clean. After a few days, I could tell my teeth were a few shades whiter (i’m not saying they’re snow white, not at all!). So I decided to keep doing this everyday (or almost) and it’s been a few weeks now. I can’t tell if it reduces my acne or headaches yet, but I can assure you that it does provide enjoyable oral freshness, plus my gums almost never bleed! Hooray! Have any of you tried oil pulling? What are the major effects you encountered? Notify me of followup comments via e-mail. You can also <a href='http://coloursandbeyond.com/comment-subscriptions?srp=5022&srk=&sra=s&srsrc=f'>subscribe</a> without commenting.